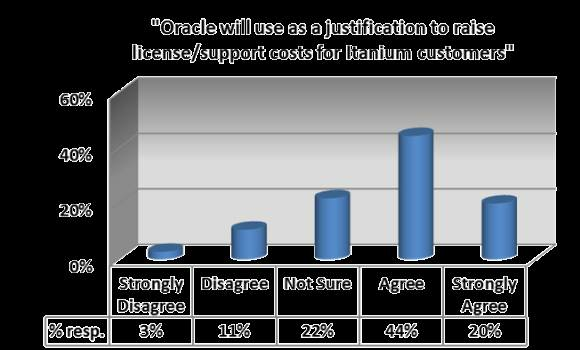 Almost two out of three respondents see Oracle's desire to raise license/support costs for Itanium customers as a motivating factor. When an ISV app supports an important or mission-critical workload, it puts the customer at the mercy of the vendor - at least in the short term. The workload can't simply be moved to another application; the risk of disruption is too great. Customers believe that Oracle will raise prices in order to take advantage of this situation.